Who doesn't love plaid!? 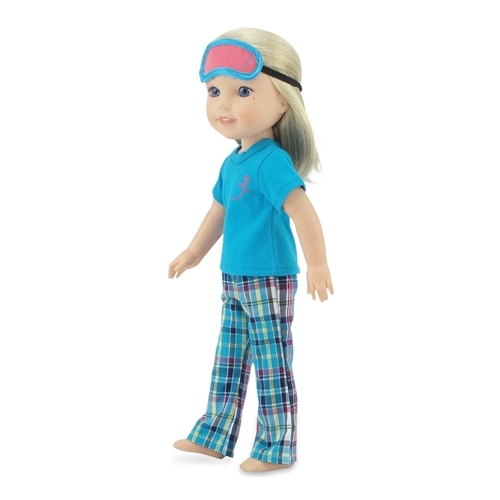 This comfy casual pajama set comes with a teal top sporting the Emily Rose logo, trendy plaid bottoms and the cutest matching eye mask for comfy sleeping! 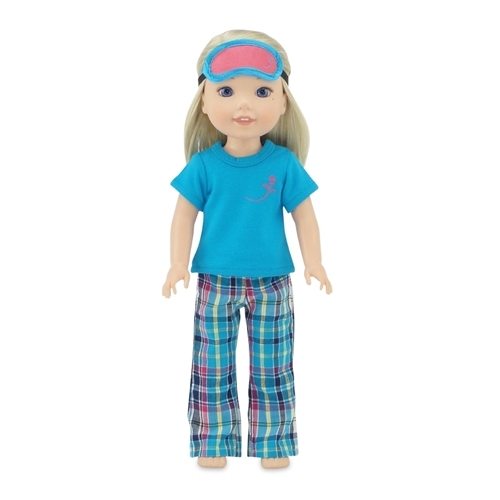 This adorable sleepwear is a great additional for your 14" doll's wardrobe. Teal, plaid PJ pants with elastic waist for easy dressing and matching t-shirt with Emily Rose logo. 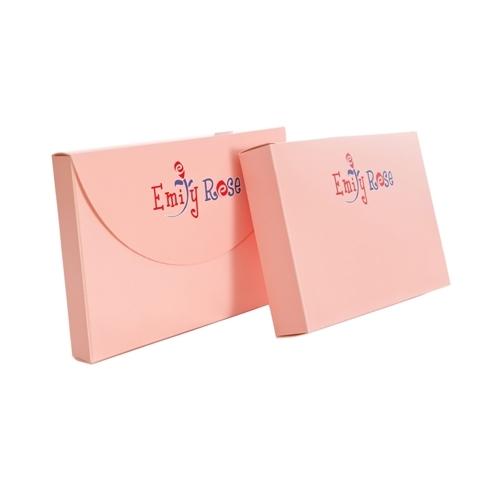 Includes adorable 14 inch doll sized eye mask with matching Emily Rose Logo.